Open the whale box to rescue Jonah from inside its belly. 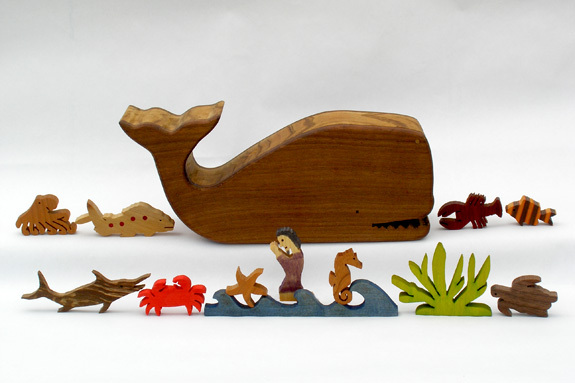 Twelve wooden aquatic figures complete the scene. A biblical story comes to life with this playful set.